❤️️ ACHIEVE FULL SPLITS FAST. 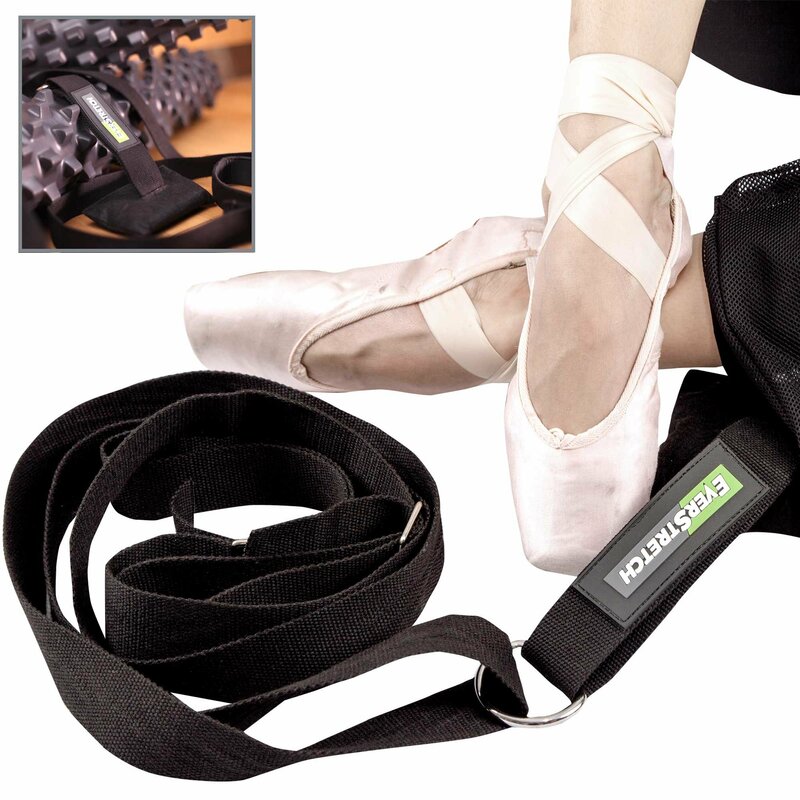 Easy-to-use flexibility strap to improve your leg flexibility, balance and range of motion in a natural body position. Just a few weeks of consistent use and your friends will notice considerable improvements to your movements. ⚜️ MOVE EFFORTLESSLY. 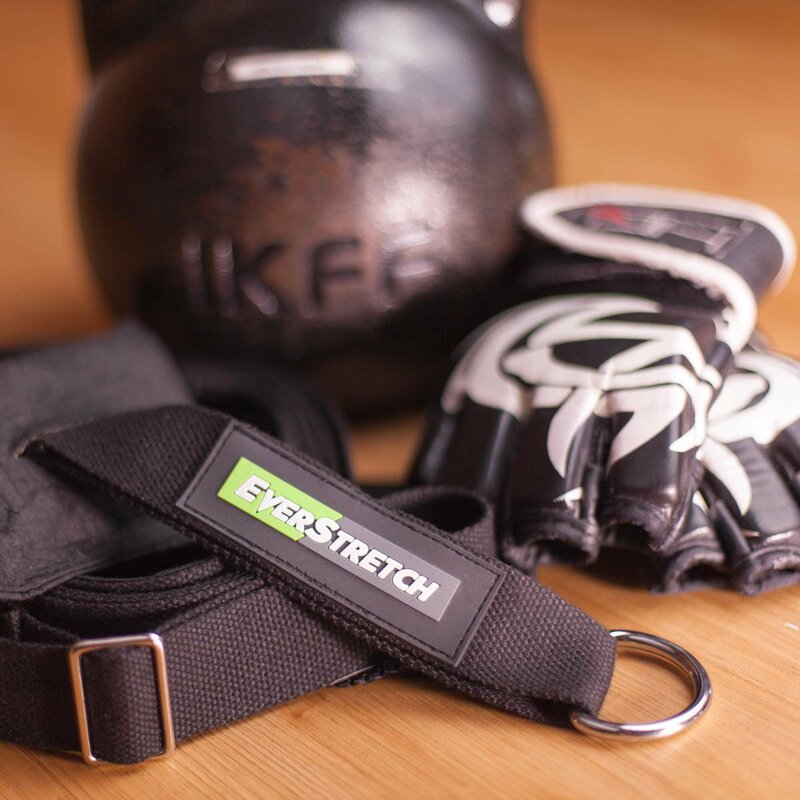 Dance stretch band that’s ready to use in a few seconds: put the door anchor over any sturdy doorpost, close the door and pull the strap through the D-ring and you’re ready to take your poses to the next level. ☺️️ DON’T SETTLE FOR LESS. 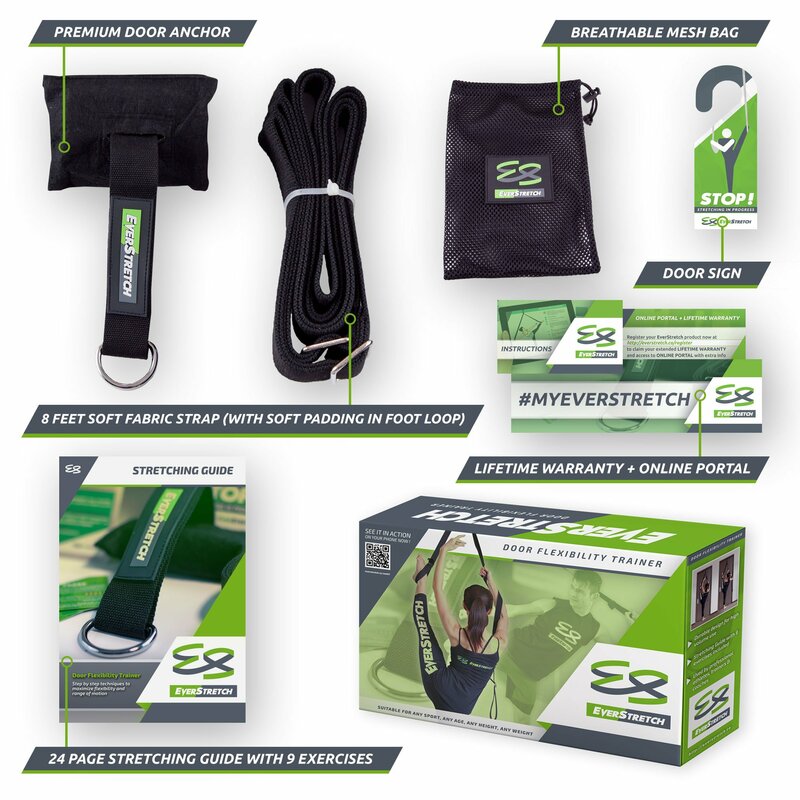 EverStretch: Premium Stretching Equipment. Premium Education. Premium Service. 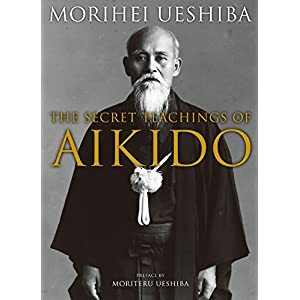 Train with confidence. Nothing will break due to use of high quality materials: 150gr cotton strap that smoothly slides through 6mm solid metal welded D-ring. Door anchor secures the strap with a metal bolt through a metal plate. Is Ballet, Dancing, Gymnastics or Cheerleading your passion? 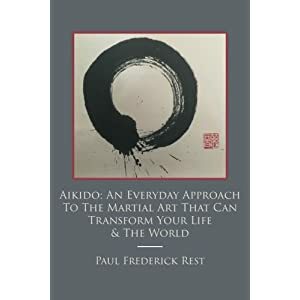 Do you wish you’d be more flexible and would move more effortlessly? 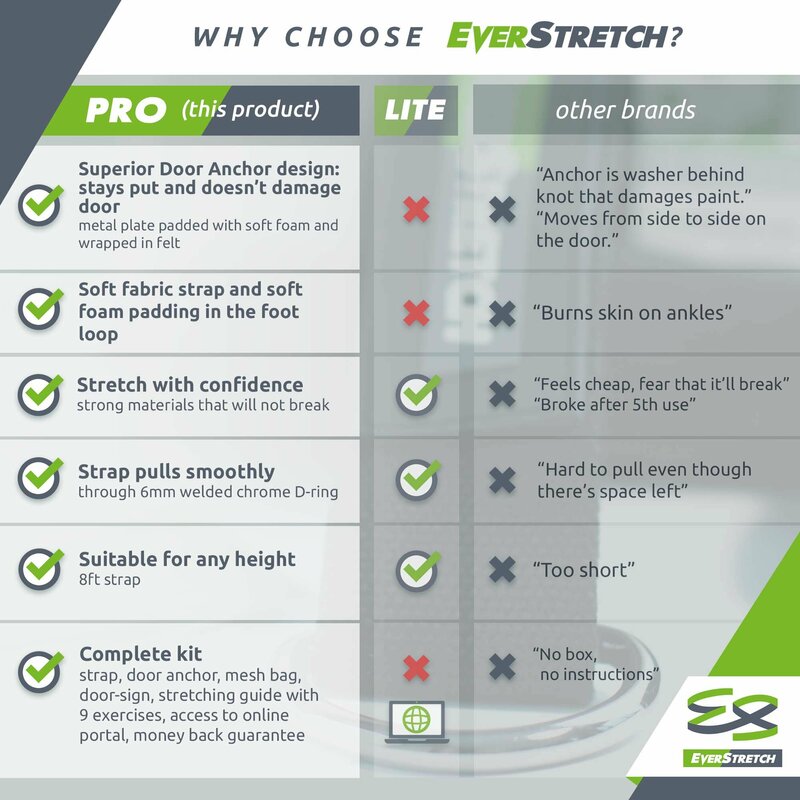 The EverStretch Door Flexibility Trainer PRO will make you move like the people you’ve all the time admired. 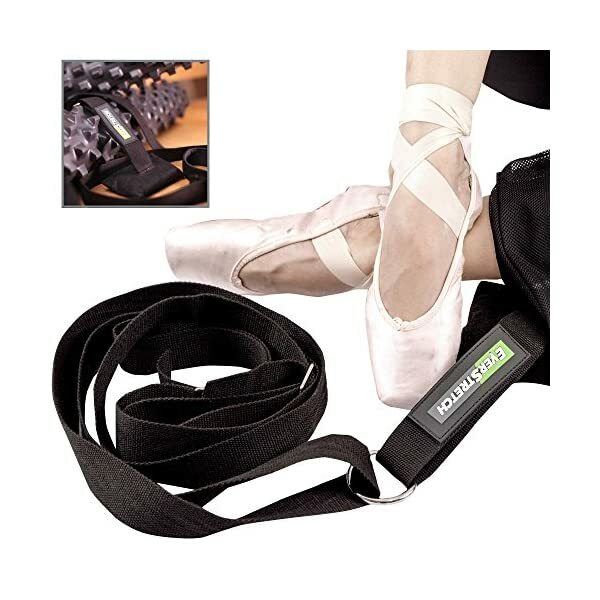 The EverStretch Door Flexibility Trainer PRO is a portable leg stretcher designed for ballet, dance, martial arts and other sports. 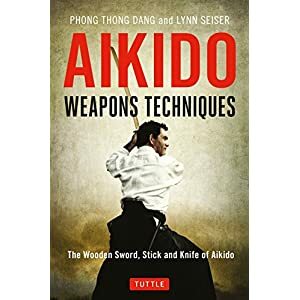 Use any sturdy doorpost to get results and strengthen your leg flexibility, hip range of motion, balance and gain strength and regulate over your movements. 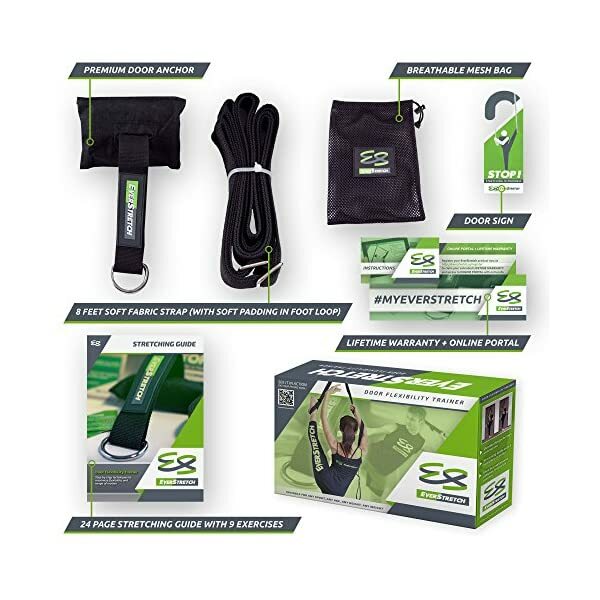 Several professional athletes have used and endorsed the EverStretch Door Flexibility Trainer PRO. They all found the legs stretching experience to be unique, realistic, and very effective compared to a stretching machine. WHAT’S THE DIFFERENCE BETWEEN PRO (THIS PRODUCT) AND LITE(OTHER PRODUCT)? 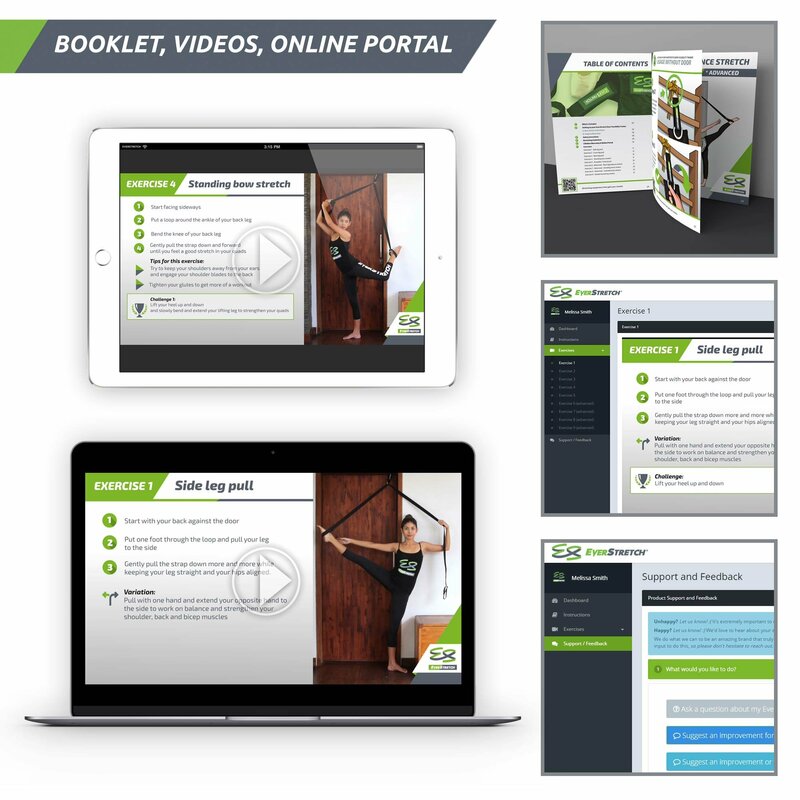 The LITE and PRO version of our Door Flexibility Trainer are similar in the way they work. 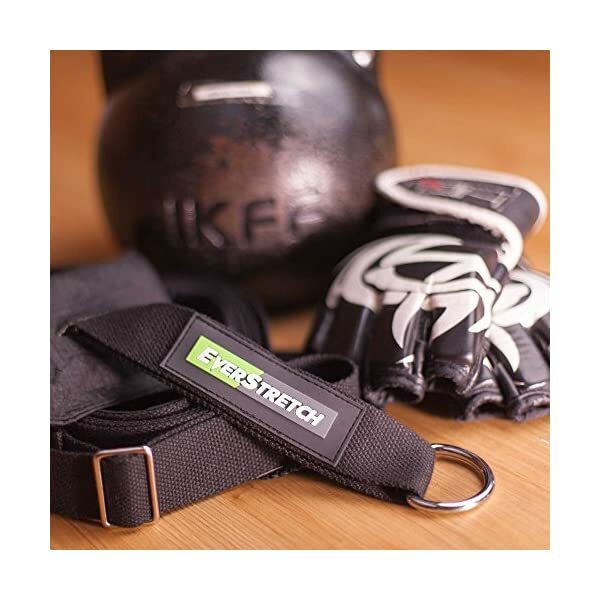 Both have a strap, a door anchor and offers you access to our online portal instructions and exercises. Where the LITE version will provide you with just that, the PRO version is the superior version. 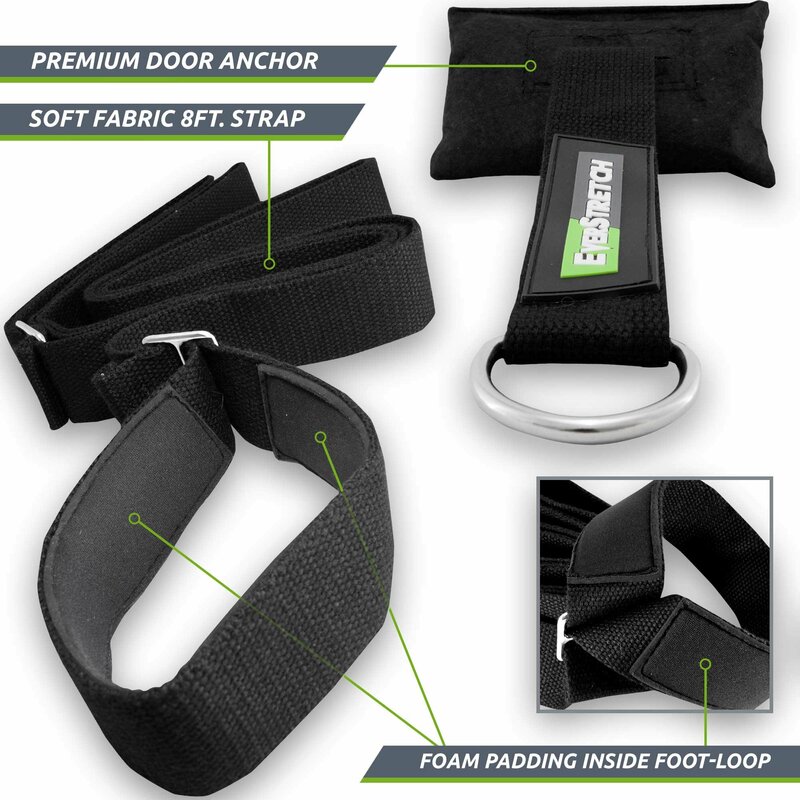 It has a heavy duty door anchor, softer webbing and a padded foot loop which are more comfortable on your skin. Also a mesh carrying bag, a door sign and a 24-page color print booklet are included (emailed as PDF for the LITE version). ❤️️ ACHIEVE FULL SPLITS FAST. Easy-to-use flexibility strap to strengthen your leg flexibility, balance and range of motion in a natural body position. Only a few weeks of consistent use and your friends will notice considerable improvements to your movements. ⚜️ MOVE EFFORTLESSLY. 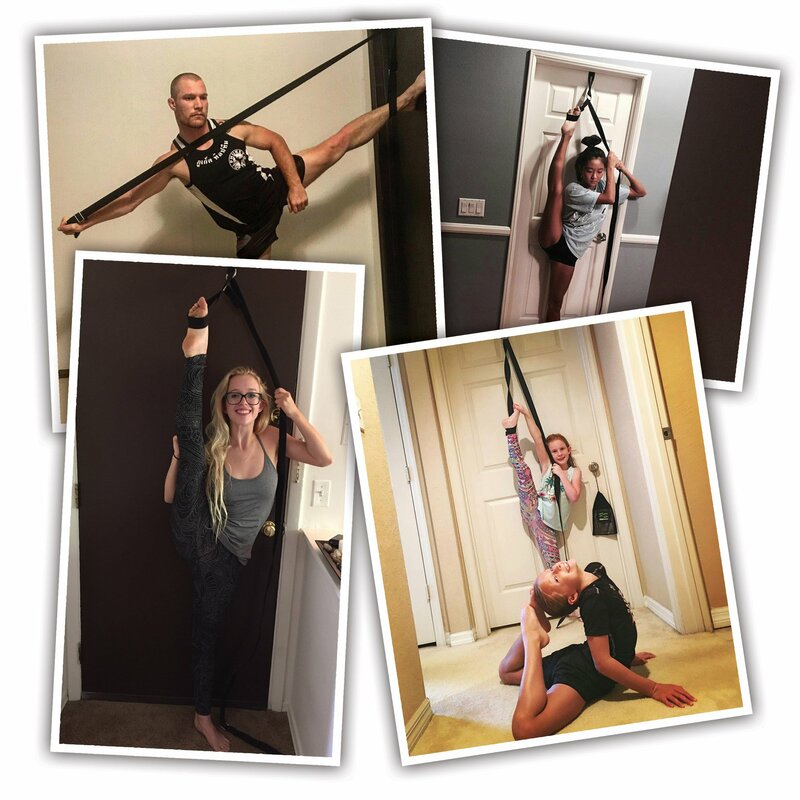 Dance stretch band that’s ready to use in a couple of seconds: put the door anchor over any sturdy doorpost, close the door and pull the strap through the D-ring and you’re ready to take your poses to the next level. ☺️️ DON’T SETTLE FOR LESS. 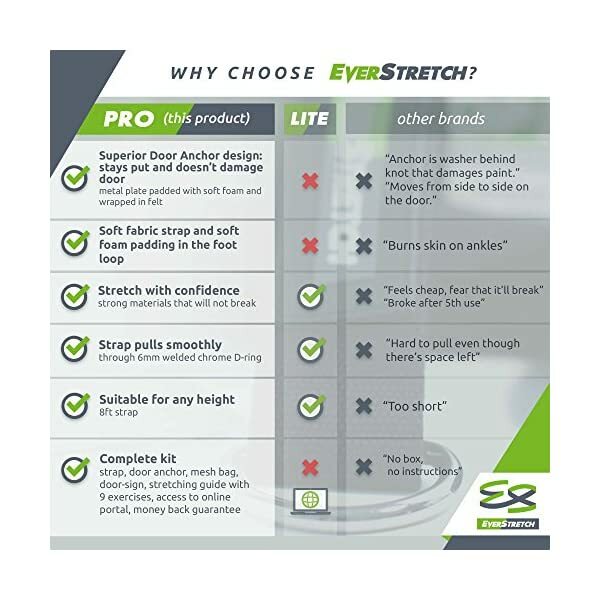 EverStretch: Premium Stretching Equipment. Premium Education. Premium Service. 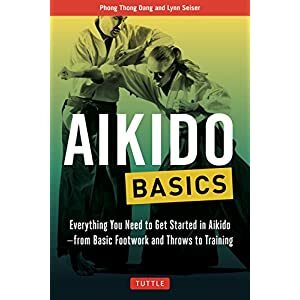 Train with confidence. Nothing will break as a result of use of prime quality materials: 150gr cotton strap that smoothly slides through 6mm solid metal welded D-ring. Door anchor secures the strap with a metal bolt through a metal plate. ⭐ SUPERIOR DESIGN. Does not damage door and stays put. 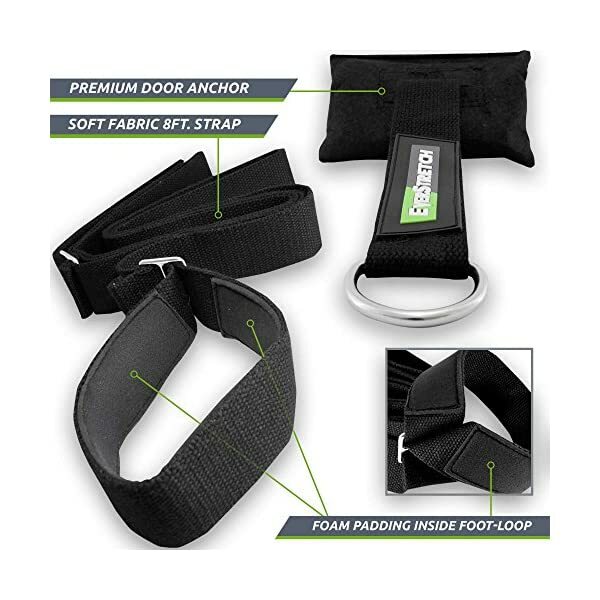 The Metal Plate in the Door Anchor is padded with Foam and covered with soft Felt so this leg stretching equipment will not scratch or damage your door and won’t move or slide whilst you’re stretching your legs.